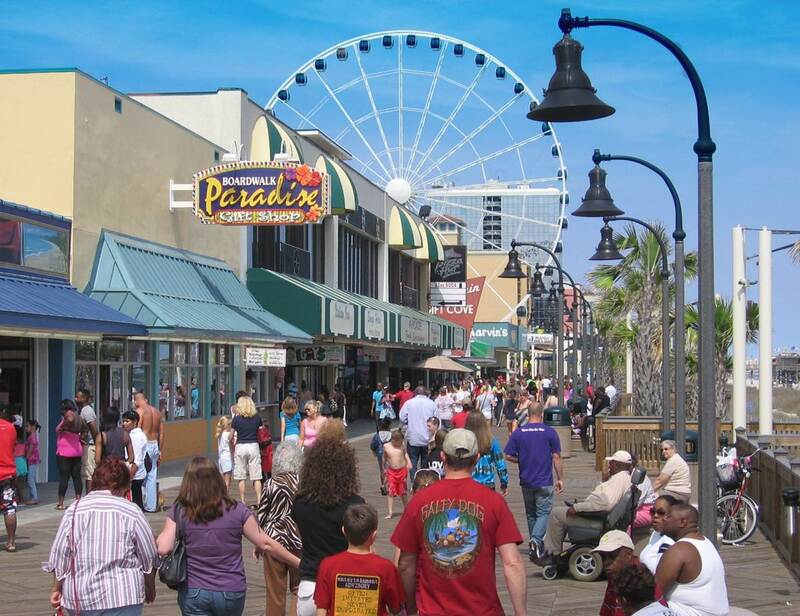 From 1951 to 2011, Myrtle Beach's Sun Fun Festival, the longest-running event in the city's history, brought unforgettable experiences and entertainment to locals and vacationers for decades. The event marked the traditional start of the summer season but was placed on pause after the 2011 season. Now, after a five-year hiatus, the 2016 Sun Fun Festival returns and will take place from June 3-5 in the heart of downtown Myrtle Beach. Featuring swingin' beach music, competitive games, and a parade, the event is sure to entertain repeat visitors and newcomers alike. The fun begins on June 3, and will include live performances by the Swinging Medallions, The Legendary Motown Revue, and The Castaways. In addition to listening to the relaxing and groovy sounds of the boulevard, festival visitors will have the chance to improve their dance skills with free shag lessons. Truly an event for the entire family, past favorites including the Sun Fun Festival Parade, shag contest, and free kids' games return in full-swing in 2016. If you are looking to experience that "old Myrtle Beach" feeling, or even looking to create new and unforgettable memories, the Sun Fun Festival cannot be missed. The 2016 festival will coincide with the Native Sons Salt Games, which will take place from June 4-5 between 8th and 9th Avenues North. The Salt Games, whose proceeds go to the Surf Dreams Foundation, will feature competitive events including professional beach volleyball, paddleboard races, lifeguard games, Native Sons Pro/Am surf-off, as well as skate competitions. Don't miss out on the Peaches Corner hot dog eating contest, scheduled for June 5. Between the Sun Fun Festival and the Salt Games, downtown Myrtle Beach is the place to be from June 3-5!